Note: This guide assumes that you already have an active Unbounce account. You can request access to the Unbounce API by filling out and submitting this form. Once they have enabled API access for your account, you will need to create an API key. 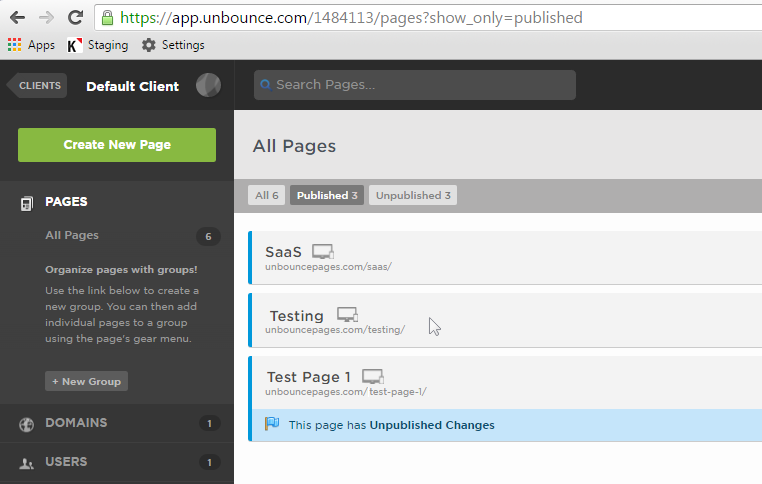 You can create and access API keys on your Unbounce Account Management screen. Once you have access to the Unbounce API, follow these detailed instructions to find your API Key in Unbounce. Depending on your query, you may need to find your Unbounce landing page ID. Navigate to the list of your published landing pages in your Unbounce account, and choose a landing page. On the information page of your landing page, navigate up to the URL, and copy your Page ID. Copy the last series of digits at the end of the URL. 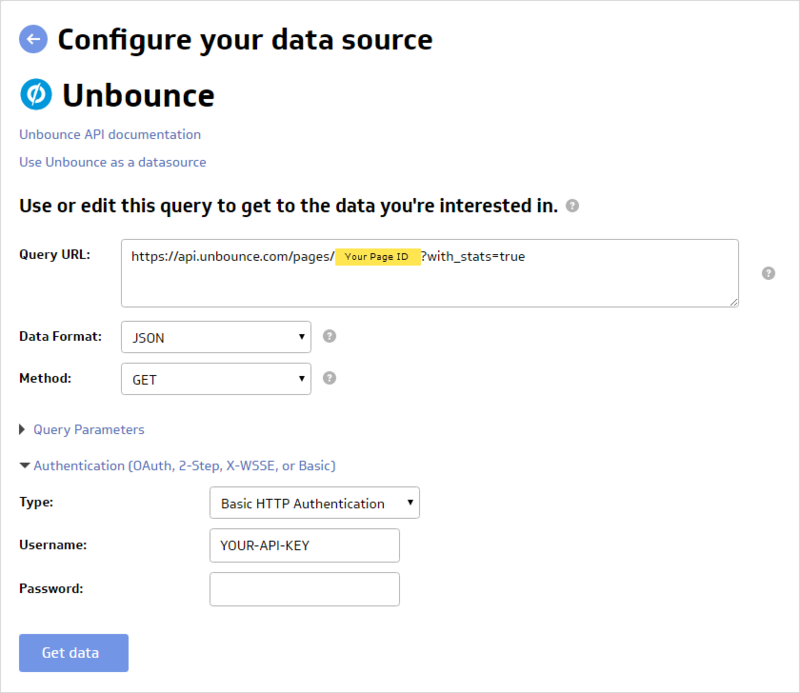 To create a data source using Unbounce, go to the New Data Source page in Klipfolio and select the Unbounce connector option. To craft a query, you will need to utilize Unbounce API documentation to help you get started on crafting a query. Copy and paste your completed query URL from Unbounce into Klipfolio. Now back in Klipfolio, on the Create Data Source page, you can complete your query.